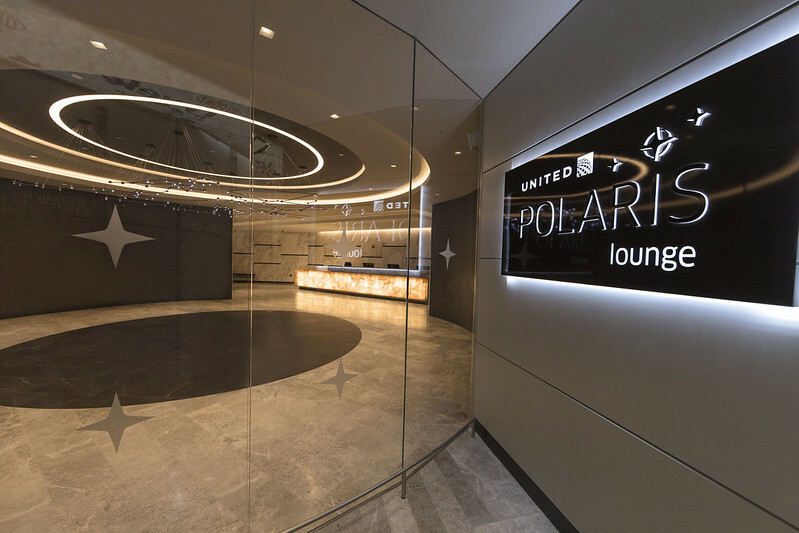 United has unveiled its redesigned Polaris Lounge at Newark Liberty International airport, as the carrier continues to roll out its Polaris concept across its lounges and business class cabins. Business Traveller was at the unveiling event, with the lounge officially opening to guests from June 4. The redesigned space features 15 different types of seating across a total of 455 seats, with 570 power outlets and 450 USB ports, though note that the power outlets are not universal ones and require adaptors if you have UK plugs. There are four private phone rooms, ten private daybed suites complete with adjustable lighting, with Saks Fifth Avenue, pillow and blanket, some amenities such as eye masks and ear plugs and speakers that play white noise or relaxing sounds. There are also ten shower suites, a personal valet service for steam cleaning of garments, a private dining area with table service for up to 48 guests, as well as a bistro buffet and bar with cocktail menu. There is an extensive drinks menu with similar signature cocktails to other Polaris Lounges. Newark has two exclusive signature drinks: London Spritz (a Pimms cup with a twist) and Fernet About It (Fernet Branca with Coca Cola). According to the press release “When visitors first enter, they will be greeted with a vibrant lighting fixture created by Brooklyn-based art and design laboratory Richard Clarkson Studio that is meant to mimic the constellations of the 12 zodiac signs”. The lounge is located in Terminal C at the Newark Liberty International, between gates C102 and C120 in the same location as the last lounge, and joins the recently opened Polaris Lounge at San Francisco, with facilities at Houston and LA to follow later this year. Washington Dulles, Narita and Hong Kong are expected in 2019 but London might not see a change until 2020. United unveiled the Polaris premium concept in 2016, encompassing the carrier’s lounges and inflight business class product. The airline says it plans to add one aircraft featuring the new United Polaris seat every ten days on average, through to 2020. The lounge operates from 4.30 to 10.30 and is 27,099 sq ft in size.